Beautyqueenuk | A UK Beauty and Lifestyle Blog: Vichy Cleansing and my daily routine! Vichy Cleansing and my daily routine! Vichy recently launched some new cleansers into their Purete Thermale range which are Purete Thermale Fresh cleansing gel and the rather intriguing sounding Beautifying Cleansing micellar oil. What I have found with Vichy over the last year is that they do seem to have a skincare range for almost every skin type which is amazing and as my skin is classed as oily/combination plus a touch on the dehydrated side then these cleanser should work exceptionally well. These cleansers have been designed to work on the most sensitive of skins and provide optimum skin comfort. As always with any Vichy skincare these are made with Vichy thermal spa water and is hypo-allergenic, paraben-free and dermatologically tested. The Fresh Cleansing Gel (RRP £12) is the perfect for that morning shower face wash. It's so light and re-freshing and cleansing the skin very gently to remove any excess sebum production and grime that may have gathered on the skin as you slept. Described as being "The perfect partner for city living, this lightweight gel cleanses deeply and protects cells against pollutants. The foam feels so fresh on the skin, leaving it pampered, clarified and extremely soft". The ingredients used are the expert anti-pollution complex Purisoft, which is composed of Amilite Technology to soften the effect of hard water, Glycerin to moisturise, and Moringa to cleanse dust, excess sebum and pollution from the skin. So, when it is used, it does foam lightly as you massage it on the skin and it has a really clean fresh scent which isn't too overpowering. After showering my skin feels really clean, soft and smooth. For the evening, I have been using The Beautifying Cleansing Micellar Oil (RRP £13.75) as the first part of my double cleansing routine. This is described as being a "Lightweight, effective and non-greasy, this luxurious oil ensures pleasurable make-up removal. Both oily and dry skin types will benefit from its clarifying care as it won’t overload the skin, instead transforming from an oil to a milk on contact with water". Within the formula there are 'Micelles' which help to gently remove waterproof make-up, impurities, sebum excess and dead cells with no need for rubbing for the skin. Once the oil comes into contact with water, it turns to a milky formula which you then wash off. I always apply this onto my dry skin and wash off using a warm cloth. The use of Camelia Oil helps to moisturise and smooth skin, while Vitamin E provides antioxidant protection. I adore both of these products from Vichy and considering I am not a fan of Micellar waters generally, the oil is so nice to use and leaves my skin feeling lovely and soft. What do you use as your morning and evening cleansers at the moment? I absolutely love French skincare products - La Roche Posay and Bioderma are my favourites, I love their toners and micellar waters. I havent tried Vichy yet, but you've definitely tempted me!! This sounds like a great cleanser, I must try it. I have a similar skin type to you so sounds like it would be great! 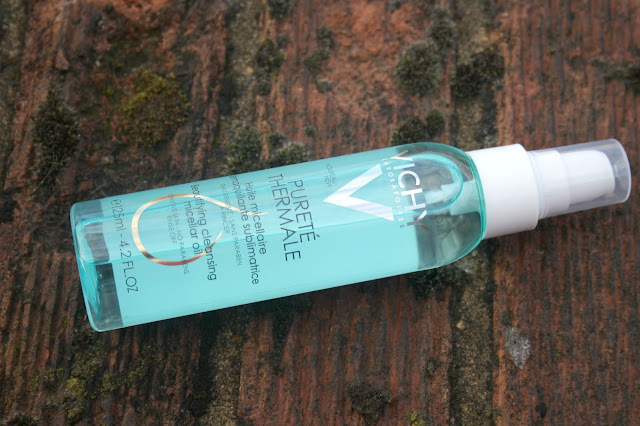 I adore Vichy, especially their aqualia serum to hydrate my skin (which is much like yours actually)! Vichy is one of my favourite products, I adore the lip balms. I am really rubbish at sticking to a good cleaning routine. I have good intentions but usually end up quickly wiping my make up off with a wipe. I totally have decided I need to try more products by Vichy for sure. In the States we don't sell Vichy at alot of places, but I think I totally NEED to try out this awesome cleansing oil for sure! Great share and so happy you like both the items. They sound awesome! 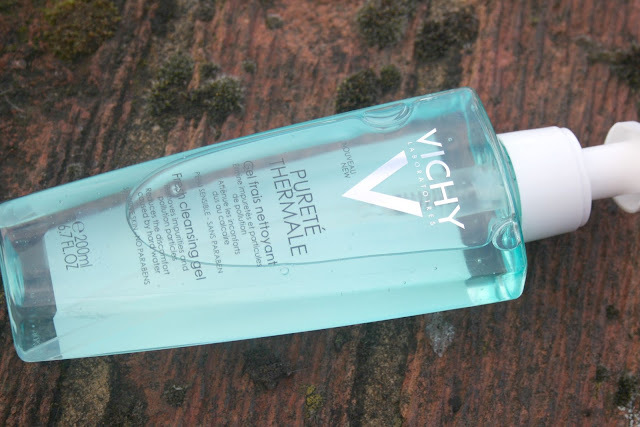 Vichy are one of those brands that I have seen all my life but never tried out. I need to mix up my routine. I have not tried this brand, and I don't have much of a skin care routine if I am honest - I need to start one before it's too late!! I've never tried Vichy but it is a brand that I hear a lot about! 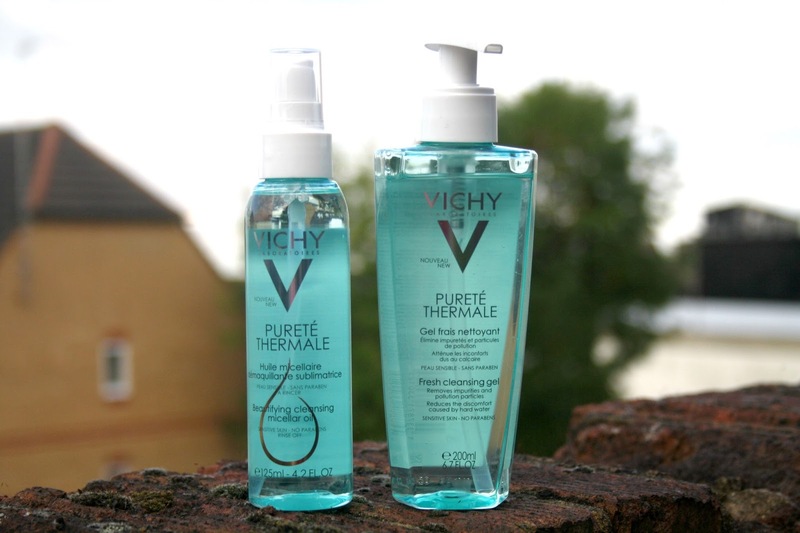 I love Vichy products, these sound lovely! Both these products sound nice. Wish they were available in India.